OXFORD, Miss. – The opioid epidemic has reached new perils across the United States. Though opioid abuse can be dangerous for anyone, those diagnosed with HIV can see increased adverse effects on the brain and nervous system. 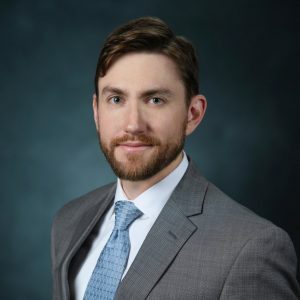 With a grant from the National Institute on Drug Abuse, University of Mississippi School of Pharmacy pharmacology assistant professor Jason Paris is working to combat opioids’ harmful effects on the HIV-infected brain. Jason Paris researches therapies for cognitive disorders caused by opioid use in HIV patients. HIV infections and opioid abuse tend to be found together, since intravenous drug practices, such as those associated with heroin, can transmit the disease. Moreover, even non-drug abusing HIV patients are more likely to experience chronic pain and be prescribed opioids. This fact has researchers like Paris looking for new therapies that can work with HIV medications to decrease some of the most negative effects of opioid use in those with HIV. Since joining Ole Miss over a year ago, Paris’ research has led to the discovery that the pain-relieving effects of opioids are sometimes less effective in those with HIV, meaning that those with HIV use may more opioids to relieve the same amount of pain as someone without HIV, potentially contributing to addiction. This research was published earlier this year in the journal Brain, Behavior, and Immunity. This phenomenon is due to one specific protein created by HIV. Fakhri Mahdi, a senior research and development biologist in the School of Pharmacy, works with Paris to research this protein’s interaction with morphine and identify natural products that may prevent the protein from blocking the pain relief. This grant is from the National Institute On Drug Abuse of the National Institutes of Health under Award No. R00DA039791.